Ever feel cramped and claustrophobic during a flight? American Airlines is diligently working to make their flights even more uncomfortable. They’ve managed to pack 172 seats into their new 737 MAX planes. This fancy new retrofit involves scraping an inch of legroom from between every row, reducing the space for each row of economy class seats to a mere 30 inches. 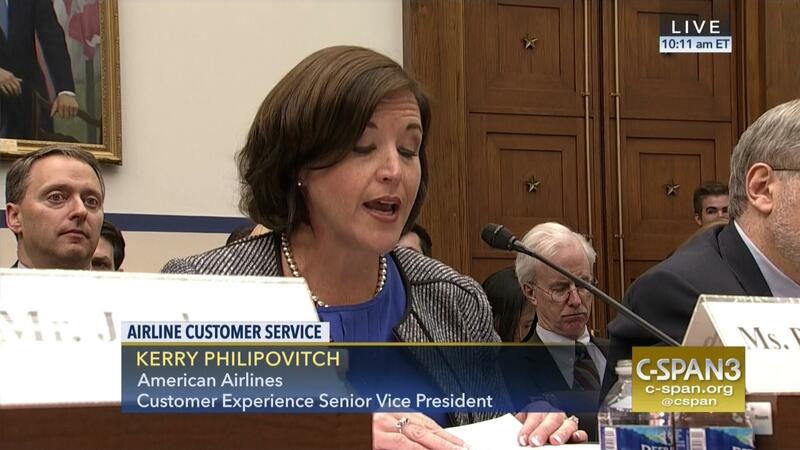 An American Airlines Executive testifies before Congress. As if reducing legroom weren’t enough, American Airlines leaves no space sacred. The lavatory is now only 24 inches wide, leaving hardly enough room to turn around inside. 160 economy class passengers must share these two tiny lavatories that are hardly large enough for a Keebler elf. 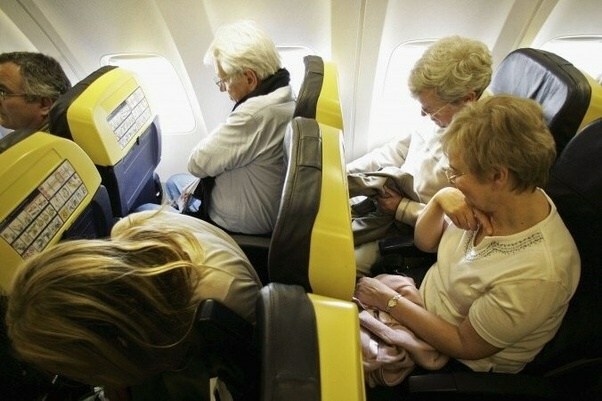 It’s well known that seniors must take precautions when flying. Reduced mobility for an extended amount of time greatly increases the risk for developing a deep vein thrombosis, or blood clot. 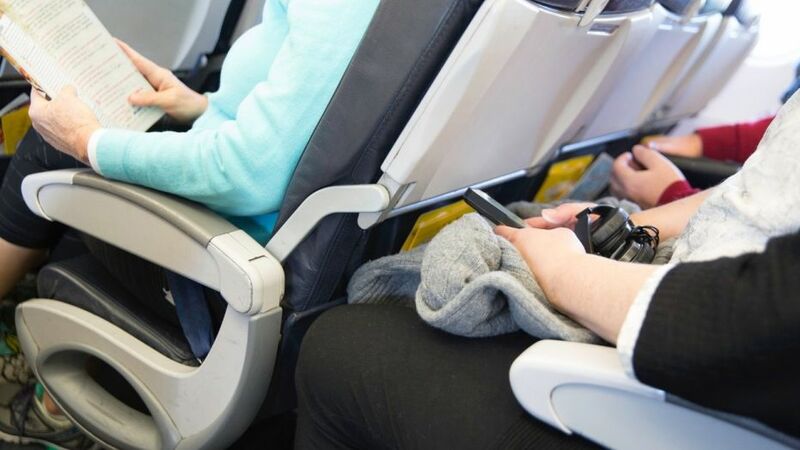 Harvard Medical School has published some tips for air travel, which include a recommendation to avoid crossing your legs while in your seat, and to get up and walk at least once every hour while flying to help prevent blood clots. It’s also recommended to drink eight ounces of water every hour or two as the decreased humidity during flights can lead to dehydration. American Airlines has removed most of the padding from their seats and reduced the amount of space between rows. On American Airlines flights it’s difficult to follow these recommendations, which can lead to serious health problems, especially for seniors. Getting up to walk means squeezing yourself out of your now 30-inch wide row to make a couple laps up and down the tiny aisle at least once an hour. With the reduced legroom, taller passengers may also find themselves forced to cross their legs so that their knees don’t hit the seat in front of them. Seniors may also be tempted to avoid drinking the recommended amount of fluids due to the impracticality of using the sparse, tiny lavatories. While air travel in general can be difficult for seniors, American Airlines is especially unfriendly due to the lack of legroom, poor availability of lavatories, and reduced lavatory sizes. American Airlines is focused on cramming as many seats as possible into each plane to increase their revenue while simultaneously taking value from their customers’ hands. Seniors perusing their air travel options should opt for a more passenger-friendly airline rather than risk serious health problems resulting from a long, uncomfortable flight. If you or a loved one are a senior citizen thinking of booking an American Airlines flight for a nice getaway, think again.